The A.I. blimp with an attitude returns. Blimpin' aint easy. This year we went all out wiring up our favorite floating friend to give him some super cool features. 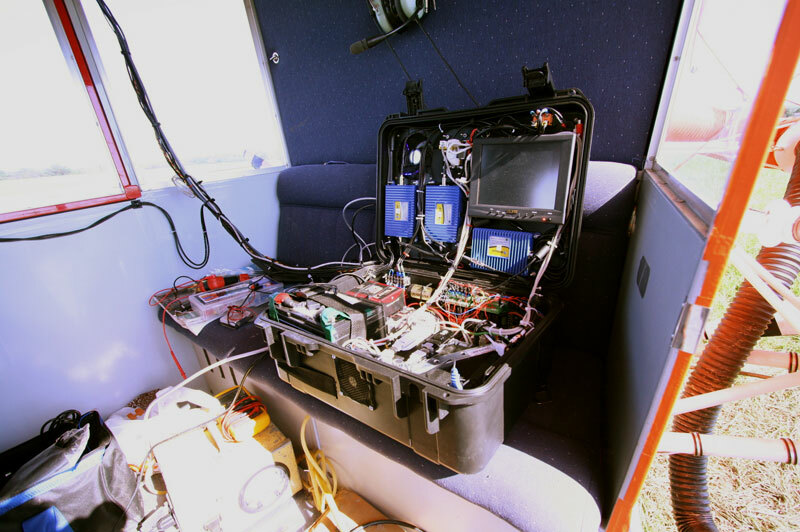 It all starts with the on-board pelican case full of wires and blinky lights (images below). This crazy looking box gives Blimpy the ability scour down below for things he's in the mood for, whether it's a Slushie from 7-Eleven, or a dance from Daisy at the local gentleman's club. The html5 bonanza of a site puts you quite literally in the pilot's seat, giving you a live 24 hour-a-day view out of the windshield along with real time instrument readings. The blimp is once again the Foursquare location in the sky, and when people check in they can watch as they show up on the site, gain the Blimpspotter badge, and even get a actual badge delivered in the mail.